Daily Debate: What Mini-Game in the Zelda Series Always Frustrates and Breaks You? Mini-games and side quests are huge in the Zelda series. They range from shooting games, hide and seek with cats, “hit me so many times before I hit you”, Bombchu bowling, and more. Some of them can be a huge pain, where the player can spend an hour or more sitting there screaming at the screen because you just can’t get any closer to your target. Or maybe you keep running out of rupees and are spending more time collecting money rather than actually completing the next objective. No matter what the issue is, some mini-games just make you want to scream. Over the years, a lot of games have given me issues. 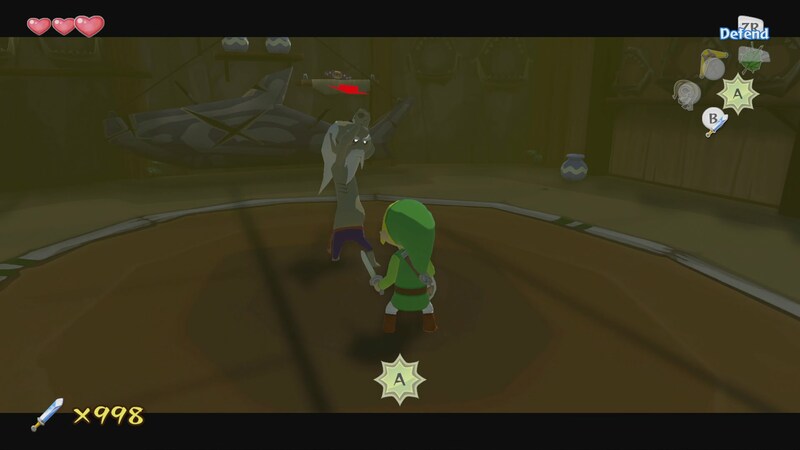 The shooting games in Majora’s Mask and Ocarina of Time could be a nightmare if the control stick was a little wonky, but this issue was made much easier in the 3DS versions. Some of the shooting mini games can still be a big pain, though. I write this after wasting an undisclosed amount of time on Feldge’s pumpkin shooting game, found in Skyward Sword. Sometimes it can be a struggle to land in the right spot, like you need to do on Fun Fun Island in the same title. The type of game that I just can not for the life of me beat, and the ones that are the most frustrating for me are the “hit me 100 times before I hit you 3” mini-games, like the player can attempt with Orca in The Wind Waker, and then again in Phantom Hourglass on the Traveler’s Ship. What type of mini-game do you struggle with the most? Tell us in the comments below!